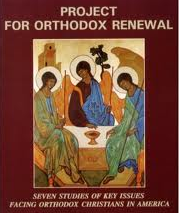 At the beginning of June 2012, the North American Orthodox Christian Fellowship [OCF] here launched an exciting new program — “The First Forty Days” — to reach out to incoming first-year Orthodox Christian college students at colleges and universities throughout North America. As its name implies, during the first 40 days of the 2012 fall semester, local OCF student leaders and chaplains will attempt to make personal contact with all new incoming students. They will be given information regarding the OCF chapter on their respective campuses and nearby Orthodox parishes. The intent of this program is to foster a personal connection with students so that young college students will stay connected to Christ and His Church during their years in post-secondary education. 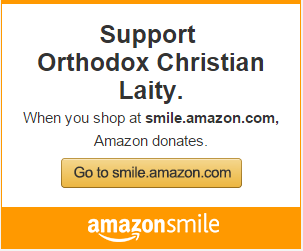 To accomplish this, OCF needs the help of all Orthodox Christian parishes in North America. In the coming weeks, OCF will be gathering the contact information of all incoming college freshman students in all parishes across the continent. Each parish is asked to provide the North American OCF Office with some basic information concerning their high school graduates who will be attending college in the fall on a downloadable spreadsheet that may be accessed and downloaded from the OCF web site. It is asked that parishes download the spreadsheet, fill out, and return it to contacts@ocf.net by June 15, 2012 so that OCF can organize the information for its chapter leaders well in advance of the fall semester. Parishes are also asked to include in the e-mail their parish name, jurisdiction, address, phone number, and e-mail address so that OCF can stay in touch with them in the future. All information received by OCF will remain confidential and will only be released to endorsed OCF chaplains assigned to a particular college. When requesting the information from the students, parishes are asked to please make their students and parents are aware that this information will be used in this manner. For further information, please contact Christina Andresen, OCF Chapter Relations Coordinator, at 617-850-1227.